The first book in the University of Calgary Press and NiCHE series, Energy, Ecology, and the Environment, will be published next Spring: Claire Campbell, ed., A Century of Parks Canada, 1911-2011 (University of Calgary Press, ISBN 978-1-55238-526-5 / $34.95 / paperback / to be released March 2011). The book will be published in open-access format as free pdf on the University of Calgary Press Webpage. 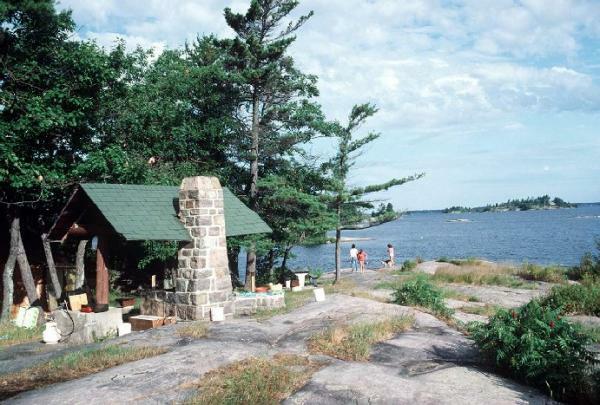 When Canada created a Dominion Parks Branch in 1911, it became the first country in the world to establish an agency devoted to managing its national parks. Over the past century this agency, now Parks Canada, has been at the centre of important debates about the place of nature in Canadian nationhood, and relationships between Canada’s diverse ecosystems and its communities. Today, Parks Canada manages over forty parks and reserves totalling over 200,000 square kilometres and featuring a dazzling variety of landscapes, profoundly affecting the way we, and the world, see our country. Yet surprisingly, we do not possess much history about or in our national parks, perhaps because the idea of parks as natural sanctuaries discourages us from thinking of them as sites of human history. In the past decade, however, aided by the dramatic growth of environmental history worldwide, there has been a surge of interest in Canada’s national park history, and in its human face. Now, in time to celebrate the centennial of Parks Canada, a vibrant new collection brings together academic and public historians from across the country, representing a host of different disciplines, including archaeology, cultural studies, environmental studies, and aboriginal history. Arranged in chronological order, the fourteen essays address Parks Canada’s long-standing struggles to encompass both preservation and use in places created for “benefit, education and enjoyment” of Canadians. These colourful, place-based accounts trace how the agency has designed, managed, and promoted national parks in response to public demand, political strategy, scientific debate, and environmental concern. As it navigated contests of territory, extraordinary geographical diversity, and the changing landscape of the modern Canadian state, it has gradually defined national parks as both cultural landscapes and sites of ecological integrity. Today Parks Canada is recognized as a global leader in the environmental challenges of protected places. Its history is a rich repository of experience, of lessons learned – critical for making informed decisions about how to sustain the environmental and social health of our national parks. By recognizing the relationship between human history and ecological sustainability, this collection represents the next generation of Canadian environmental history. In 1911, Canada became the first country in the world to establish an agency devoted to its national parks. The introduction outlines the contours of this first century of that agency, now known as Parks Canada. This collection views the agency’s changing philosophies, practices, and priorities in historical context, showing how its decisions about protected places both reflected and shaped Canadians’ attitudes toward the land we inhabit. The history of Parks Canada reveals a great deal about the cultural, political, and environmental state of Canada today. This essay traces the formulation of Parks Canada’s philosophy in its first two decades by exploring the career of staffer Mabel (“M. B.”) Williams. Having clipped newspapers for the Department of Interior, Williams joined the new agency at its inception and soon became one of its most trusted writers. In the 1910s, she helped articulate the humanitarian and commercial value of parks, and in the 1920s, she was the chief author of the parks system’s series of promotional guidebooks. M. B. Williams’s writing not only helped win over Canadian politicians and the public to national parks, but also had the unforeseen effect of unifying the agency’s own staff around a strong core philosophy. Conservationists often assume that the primary purpose of national parks has been to preserve wildlife populations and natural landscapes in a pristine state. For the first two decades after the creation of the Parks Branch in 1911, tourism promotion stood at the centre of the strategies for park establishment and development. In particular, the Parks Branch worked closely with local tourism boosters to create national parks that would easily accommodate the growing trend toward automobile tourism in the 1910s and 1920s. This paper argues that, among other values, the promotion of auto tourism provided a key impetus for the expansion and growth of the national park system after 1911. This is a case study of a failed national park, a national park that was proposed but that never came into existence. In the 1930s and early 1940s the government of British Columbia wanted the federal government to establish a national park along the Big Bend Highway, which paralleled the Columbia River around the Selkirk Mountains. The goal was to saddle Ottawa with responsibility for the road. However, these proposals were rebuffed, and Hamber Provincial Park, an enormous park which the province established in 1941 in the hope that Ottawa would incorporate it into the national park system, ended up being deleted in order to facilitate logging and hydroelectric development. This essay examines the bitter struggle between ‘shack tent’ cottagers in Prince Albert National Park and the Canadian Parks Service over repeated attempts to first limit and then eliminate these semi-permanent structures from the townsite [Waskesiu] campground. The story highlights how the Prince Albert region looked upon the park as a regional playground and resented any federal meddling, including the application of national park standards. It also raises important questions about the purpose of Canada’s national parks and whether one group of citizens should enjoy special proprietary rights in a place set aside for all Canadians to enjoy. “Banff in the 1960s: divergent views of the national park ideal,” examines changing and conflicting attitudes toward development in Banff National Park, the flagship of Canada’s national park system. During the 1960s Banff was faced with the challenge of rapid growth in visitor use and concomitant demands for more and bigger amenities. The parks organization responded by proposing a bold plan for new roads and building in Banff. But these plans sparked a reaction from a growing environmental lobby that wished to keep national parks, Banff in particular, from becoming paved over. This backlash caused the national parks organization to make adjustments to its priorities as is sought the middle ground between protection and development. In the 1960s and 1970s, North American auto culture joined with a popularized wilderness movement to expand park use to unprecedented levels. One of the ways Canadian parks managers coped with the challenges of the time was producing the film Bears and Man in 1978. In it, wildlife cinematographer Bill Schmalz, with NFB and Parks officials, rearranged elements of North American popular culture in parks. The film can be studied to reveal ways that independent film making, bear behavioural science and the wilderness movement were redefining space between wild animals and park visitors in ways that are influential to the present day. This chapter explores the creation of Parks Canada’s ideal of wild nature in La Mauricie, a long-time timber and game hunting territory. 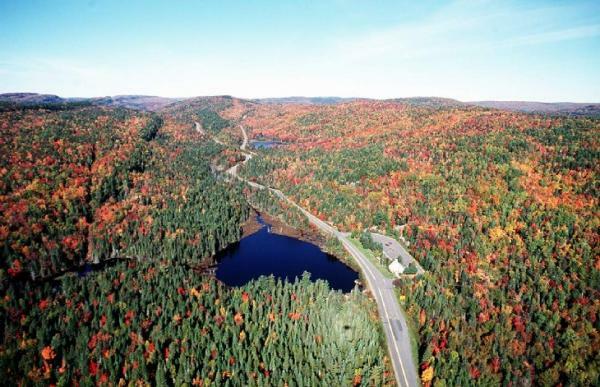 By focusing on the specific case of La Mauricie National Park, it shows how the federal agency reinterpreted the local landscapes in accordance with its institutional ideal of wilderness. It specifically discusses how certain representations of nature influence the materialization of institutionally produced “natural” objects, such as parks. It also addresses the role of scientific rationality in legitimizing territorial transformations, such as those resulting from the creation of a park in a given landscape. 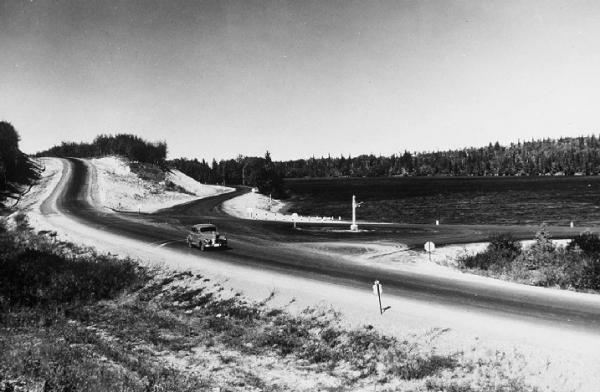 Beginning in 1969 roughly 1500 people were expelled from their lands to allow creation of Kouchibouguac National Park, along the east coast of New Brunswick. The expropriation of the resident population was standard operating procedure for creation of national parks at the time, but this case was different because it triggered significant resistance from the predominantly Acadian population which had a particular memory of forced removal. In this context, Acadian artists in various genres reflected on the meaning of this incident for their people. This essay explores the shifting representations of the Kouchibouguac conflict over the forty years following the creation of the park. The idea for a national park “reserve” was first exercised in the Yukon Territory in the early 1960s. Promoted by the National Parks Branch as a response to the heated debate between protected area interests and advocates of the economic development of the territory’s natural resources and to avert the threat of multi-use national parks, the reserve designation offered a time-limited review of values before final establishment. 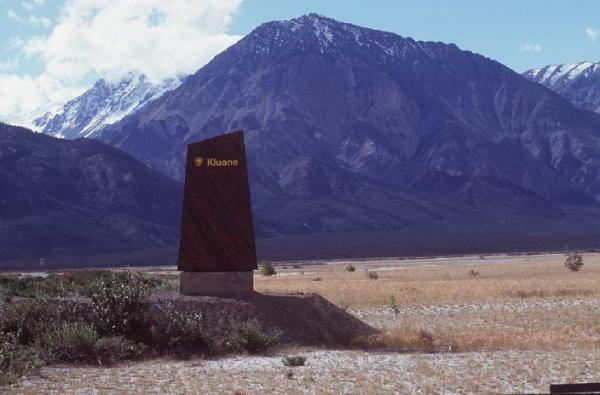 The subsequent use of the reserve for Kluane National Park to address Indigenous claims against Canada raises the question of whether this action represents a sensitive evolution of a management tool to recognize cultural pluralism or continues the modernist reduction of difference to western concepts of stakeholder by other means. This chapter examines the history of land claim negotiations between the Inuvialuit of the western Arctic and federal officials over the establishment of the first national park created north of the Arctic Circle in Canada. It situates these negotiations within the broader context of institutional developments in the national parks branch and unfolding debates over the northern environment and indigenous rights in the second half of the twentieth century. The chapter argues that recent scholarly emphasis on the colonial character of conservation in Canada should be revised in light of the success of northern indigenous peoples in influencing national park management in the 1970s and 1980s. A strong programme of archaeological research in the Rocky Mountain national parks has uncovered the story of 11,000 years of human use. People have always been an integral part of the landscape, and their actions have played a role in shaping the park ecosystems that we preserve today. 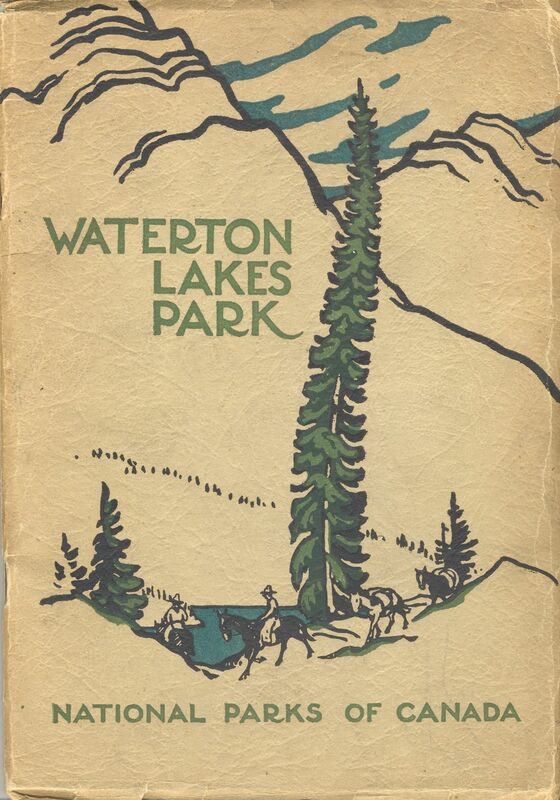 Even though Banff formally protected an archaeological site before the First World War, it was not until the late 1960s that systematic archaeological survey really got underway, in Waterton Lakes. The success of this project, together with the rise of provincial heritage legislation in the 1970s, paved the way for a full time programme in the other mountain parks. According to the categories by which the International Union for Conservation of Nature classifies protected areas, part of the Upper Athabasca River Valley in Jasper National Park merits reclassification from wilderness, which it patently has not been for as long as the Yellowhead Pass has served people as a transmontane corridor and certainly for as long as it has been a national park, to an area of significant ecological and cultural heritage. Such a reclassification holds the potential for a reintroduction into the valley of a permanent Aboriginal presence that is consistent with the emerging mandate of Parks Canada Agency to partner with Aboriginal peoples. At least two philosophies bearing on park conservation were in play over much of the last century: a romantic notion of “untamed wilderness” in which the humans we assumed to be intruders, and a more pragmatic accommodation to recreational development. These competing strains have never been fully resolved. Safeguarding protected areas will not be achievable until we learn to regard people not so much as the problem but as the potential solution. Only by working together with mutual respect and dialogue will it be possible to build the consensus necessary to bequeathing this irreplaceable natural and cultural legacy to future generations of Canadians and citizens of the world.